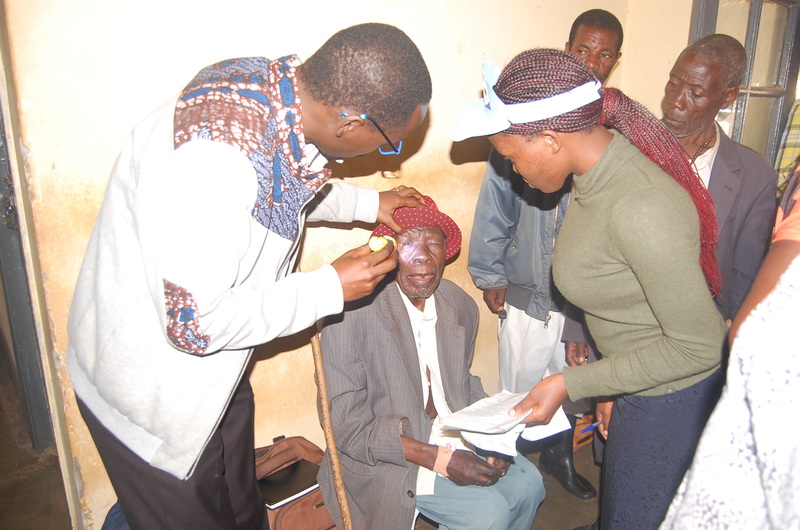 LYANTONDE – At least 500 patients mostly elderly people have been diagnosed with diabetic retinopathy as the world marks the eyesight day where national celebrations were held in Lyantonde at council grounds on Thursday. The eye medical camp was organized by the Lions diabetic project for southwestern Uganda at Lyantonde hospital. Philemon Tumutegyerize, the project coordinator revealed that prior to the world sight day commemorations; they put an eye screening camp for all eye conditions which started on Monday and ended Thursday. Tumutegyerezi noted that they managed to screen over 500 patients with this eye conditions. Diabetic retinopathy is a medical condition in where damage occurs to the retina due to diabet mellitus and that is the leading cause of blindness in Uganda. He called upon all diabetic patients to have their eyes screened since their chances of suffering this condition is very high. The celebrations were officiated by Dr. Joyce Moriku Kaducu the state Minister for primary health care. In her remarks, Kaducu said that 6.4% of the population in Uganda has got difficulties in seeing and this condition contributed much to the high prevalence of non-communicable diseases. She said that according to the rapid assessment of blind survey that was done in Uganda, 144,000 people in Uganda are blind and 2.5 million people have various issues of visual impairment. 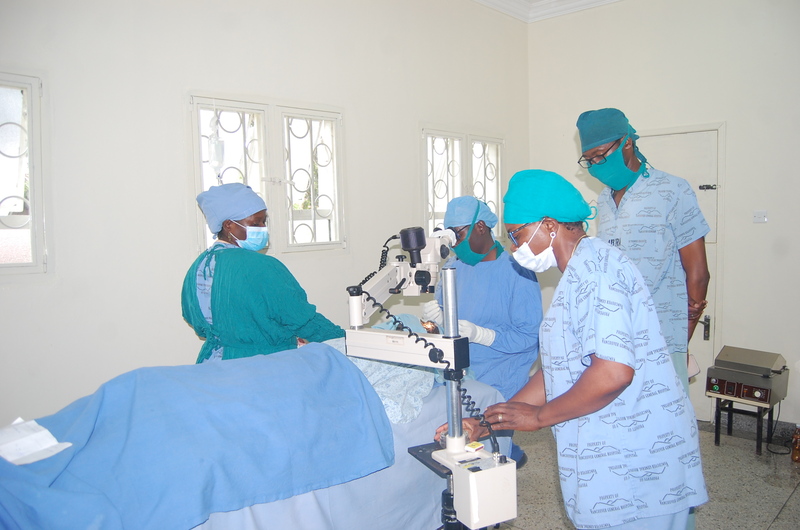 “Through a collaborative efforts for that purpose the ministry of health developed the 4th national eye health plan 2016/2020 whose theme is ‘eye health every body’s business’ which calls for all stakeholders both in private and public sectors to support this project of diabetic retinopathy that has been funded by Lion club international” Kaducu said. She further highlighted that this project of diabetic retinopathy emphasizes three pillars of service delivery, infrastructure development and human resource for health and that it is going to assist the ministry in skill health professionals. So far the five districts which have been with no clinical officers in their health centres have been asked to select those interested and will be fully sponsored to attend professional courses abroad. “This is centered on reducing eye burden in the village service delivery and helping diabetic clients from suffering from dangerous diabetic retinopathy because they will have the opportunity for regular screening and treatment” Minister Joyce added. Dr. Ssali Grace an eye specialist at Mulago national referral hospital told the gathering that every day out 10 children they operate every day and five have cataract which is clouding of the eye’s lens which she says can be immunized and be prevented and glaucoma which is a group of disease that affect the eye’s optic nerves. She says that they are only 40 eye specialists in Uganda serving a population of 40 million people and that 80% of these specialists are in the cities and this year five are retiring. She asked the ministry to devise means on how they can sponsor more scientists to become eye specialists.